We believe that organizations want choice and flexibility in defining what tools they use, and how they use them. We enable this with one integrated service, born and built in the cloud. IT Products are geared toward IT and security leaders. At a very high level, these products simplify the way people connect to enterprise technology, while increasing efficiency and keeping IT environments secure. Universal Directory - Deploy a flexible, cloud-based user store to customize, organize, and manage any set of user attributes. Single Sign-on - Free your people from password chains. A single set of credentials gives them access to enterprise apps in the cloud, on-prem, and on mobile devices. Lifecycle Management - Automate user onboarding and offboarding with seamless communication between directories and cloud applications. MFA - Secure your apps and VPN with a robust policy framework, a comprehensive set of modern second-verification factors, and adaptive, risk-based authentication that integrates with all of your apps and infrastructure. Mobility Management - Use a mobility management system that puts user identities at the center, securing mobile access while ensuring top-shelf user experience. 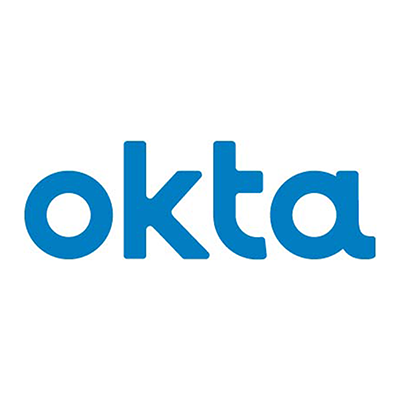 The Okta Platform is a complete identity fabric that connects all of your people, apps, services, and devices to enable secure, seamless, and efficient B2B and B2C engagement. Complete Authentication - Unify and secure sign-in with complete, powerful options for primary and multi-factor authentication. User Management - Centralize, store, and manage users; sync user profile data across systems; and keep PII safe. Flexible Administration - Let partner orgs manage their own users with flexible options for policy and admin delegation. API Access Management - Identity-driven authorization for any app or service, with user-friendly and centralized administration across all your APIs. Developer Tools - Launch faster with expert support, guides, code samples, and SDKs. For a complete list of offerings, visit okta.com/products. Engie, Gatwick Airport, Eurostar, Experian, 20th Century Fox, Adobe, MGM resorts, Informatica, National Geographic, workday, Western Union, Rotary, Del Monte, esri, Box, DocuSign, ServiceNow, Splunk, Rosetta Stone, Groupon, and more. Using Okta at Adobe has allowed my organization to focus on the key differentiators in our product, building value for our customers and investing our time and efforts in the things that make our customers successful." How do you prioritize your digital initiatives?